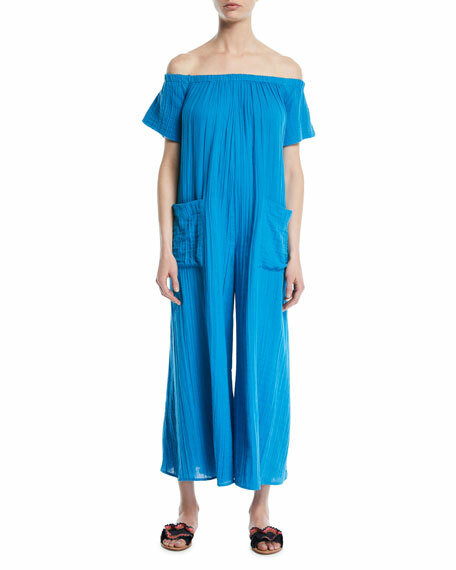 Mara Hoffman "Blanche" jumpsuit in organic cotton. Relaxed fit through extra wide legs. The vivid prints and bold hues of Mara Hoffman swimwear have made fans of many A-list celebrities on both coasts. 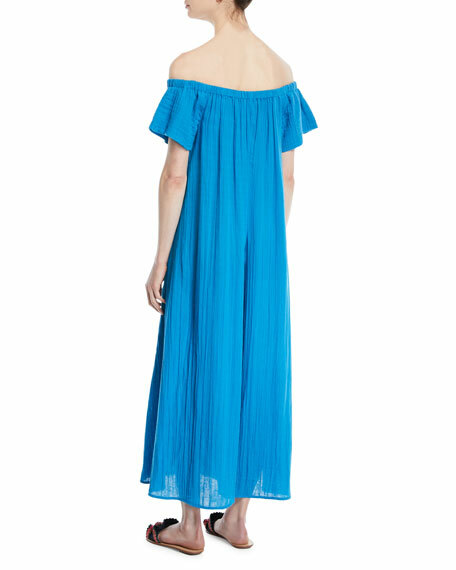 The New York-based designer introduced her line in 2000, and today the collection includes tunics and cover-up dresses in addition to swimsuits. For in-store inquiries, use sku #2574433.